There are several tattoos can be applied on different parts of the body. Most of them are applied on the upper arm, especially by men. 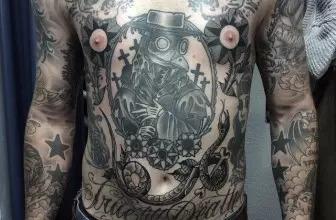 Well, these are not the only tattoos applied on the body. There are also some tattoos that are applied on the back, but some unique tattoos are applied along the spinal cord. The spine tattoos are applied by both men and ladies, but they are most common among the ladies. They can range from one design to another. There are some that will run from the tip of the spinal code, near the neck, all the way to the lower back. Some will only feature the top part of the spine. The guys will have a modest tattoo along the spinal cord, but the tattoo will not cover the entire spinal cord. With the ladies, they will mostly have a more detailed tattoo that will run along the spinal cord. The reason could be that ladies will most likely wear a bare back dress. For the gents, they will mostly have their backs covered, but will be bare back, only in a swimming or at the beach. 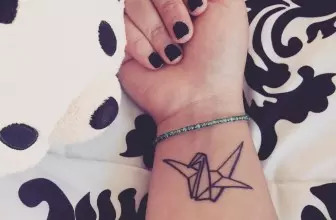 These tattoos are applied with different meaning altogether. Basically, there is no exact meaning of the tattoos along the spine, since they come in different designs. Nonetheless, the wearers of these tattoos, choose to apply them for the sake of privacy. With a spinal cord tattoo, no one would easily realize it on your back. It can be a great idea, if one is applying a job offer, where they prohibit the tattoos. There are some tattoos that are basically drawn along the spine, to make the wearer somewhat attractive to their partners. Some will have an elegant design of flowers and other attractive objects, which are meant to beautify the wearer. Some will run all the way, down to the lower back, which highlights the spinal cord and give out some level of attractiveness. Some will be drawn as a reminder to that person or basically, they give a quote of their own. There are some tattoos for the spine, which will have quotes that the wearer will always have within them. Since the spinal cord is meant to offer support to the body, the tattoos are also drawn along the spine as a sign of support to that person. The tattoos that are drawn along the spinal cord will come in different design. There are some that will be modest and will look like a thick line that runs along the spinal chord. Others will be more detailed and will have a complete drawing, but with the basis of the spine. These are types of tattoos drawn along the spine, which will weave up from the tail bone, all the way to the center of the back. The tattoo will then branch off from the middle of the spine, then become narrower as it is getting up the spine. 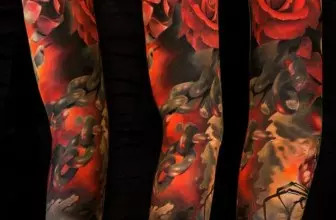 The tattoos will use white, red or pink flowers, along with slender branches that are dark. Other themes that can be applied with this tattoo include some butterflies, Japanese letterings or dragons, as well as Koi fish. The drawings will be applied mostly on the lower back, towards the waist, but the top part of the back will have a thin stem running along the spine. There are also some tattoos that are designed with some Chinese characters, running along the spine. These tattoos will be applied by men and women as well. The Chinese characters will be drawn in terms of a person’s name, the name of a city, or a personality. If the name is longer, the tattoo will be narrower and run all the way to the tail bone. The first thing that must be done is that one must understand the meaning of the Chinese character used, before applying it. This tattoo will have the character of the dragon, with the tail or the spine of the dragon appearing along your spinal cord. The dragon might also be drawn on the back of the shoulder, with a spear or a tower-like character standing along the spinal cord. This is also another design that will need an understanding of the Sanskrit language. The language is among the oldest and also one of the best, in terms of inspirational quotes. When tattooing, you can choose the Sanskrit language that will be written along the spinal cord, but you must understand the characters well. Usually, a pattern will be inked on the top as well as on the bottom, which will compliment the entire look. 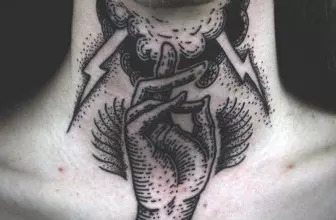 Even though the tattoos are drawn along the spine, there are some that are literally designs of a real spinal chord, with can be drawn along with the ribs. The tattoo will be drawn from the pelvic bone, all the way to the neck’s nape. In most cases, the spinal cord tattoos will not be colored, but will be drawn with a black color, making them unique and elegant enough. 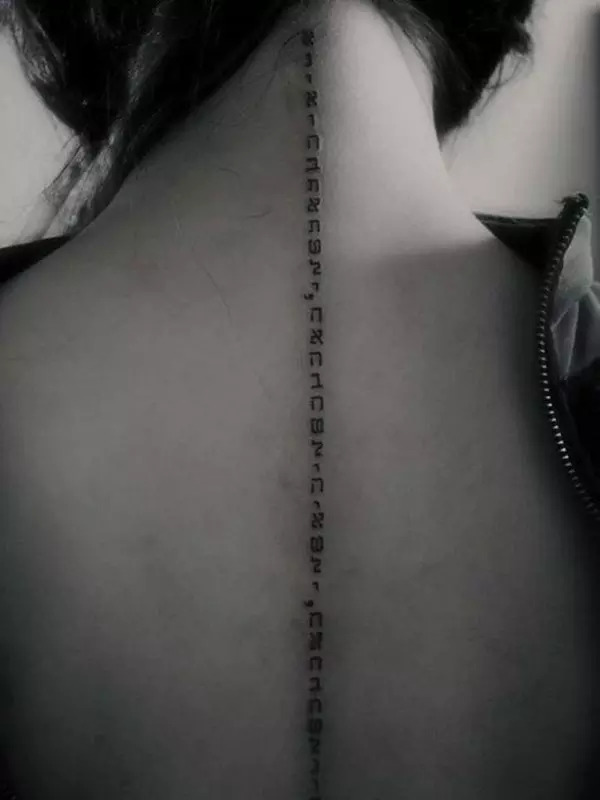 There are some, which are one of the most unique and modest tattoos drawn along the spine. These are the quote tattoos, basically applied to give out the thought or motto of that person. The tattoo will be written in English and will also appear in a unique calligraphy. They will also not be colored and will run all the way to the tail bone, depending on the length or number of the words. When choosing the tattoo to apply along the spine, ensure that you choose one that will suit your preferences. If you want to apply the foreign language characters like Chinese or Japanese characters, ensure that you understand the meaning of those characters. If you need the flowers to be drawn on the back, ensure that you choose a color that will look more elegant. All in all, seek professional help before you apply these tattoos.